It’s Wednesday, and we’re coming to the end of this adventure of Albert the Alien. The Principal and Vice Principal continue their conversation about the infamous Mystery Locker. 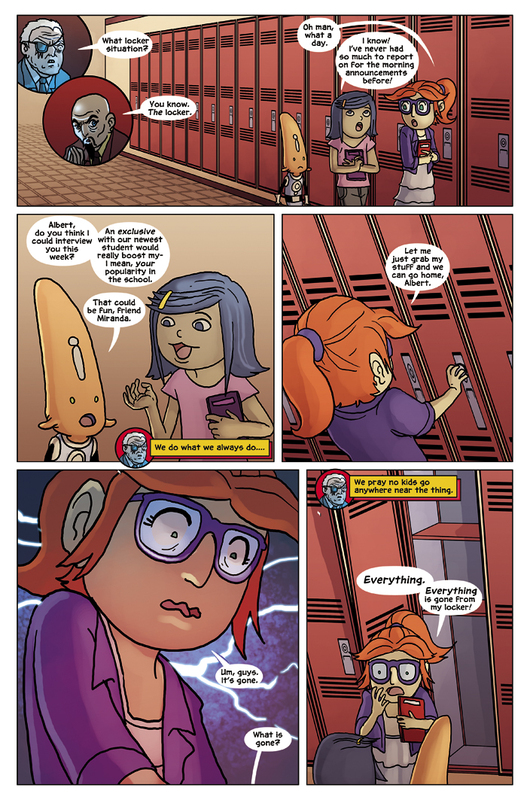 And at the same time, our heroes return to Gerty’s locker to find – dun dun DUN! – everything is missing from here as well! Who could be taking everyone’s stuff? One more page to go in this story, and then we start up Chapter 3 next week on our regular update days: Wednesday and Friday.